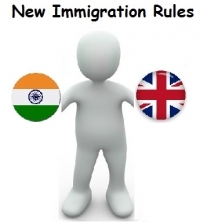 The Indian government presently headed by Narendra Modi, has taken efforts and had a word with the British Authorities to make certain what impact, the new immigration rules would be, on the nurses belonging to India working in the UK. According to the new rule, the nurses must earn minimum of £35,000 a year. VK Singh, Minister of State for overseas Indian affairs has added that, High Commission in London is presently active in engaging with the Indian associations in the United Kingdom, so that they can make an appropriate presentation to the British Migration Advisory committee on this particular issue. The Minister has added, even though there is no official date specific about the Indian nurses, which is presently available, but as per the report stated by, the Royal college of Nursing, it has already warned that, new immigration rules could do more harm, as it may result in an exodus of above 30,000 nurses belonging to India as well as non-European nations. As per the new rules, the Tier 2 category of migrants belonging to non-European countries which do include both chefs and nurses should be able to fulfill high salary requirement in order to work in the UK. Our nation, India is the second largest supplier of Nursing staff to the United Kingdom , of course Philippines is in second place by proving 15000 nurses and helping to fill the shortages within NHS. Nurses in UK, on an average earn between £21000 to £28000. The new immigration rules would come into effect from 6th April 2016.